1. 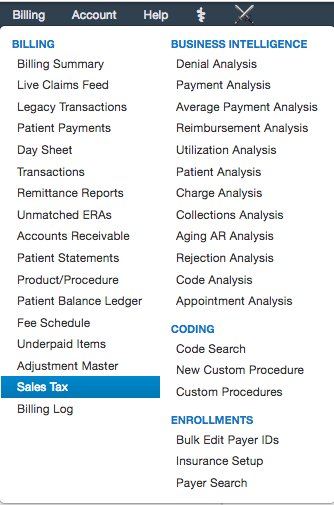 Hover over the "Billing" tab and choose "Sales Tax". 2. You can generate a report by using the Date range and/or by entering the CPT codes. 3. Click on "Export to file" to export the to the "Message center".